This guidebook will help you understand the options available to you when deciding whether to start your action in the BC Supreme Court or the Small Claims division of the Provincial Court. Fast track litigation (Rule 15-1) allows you to shorten the entire litigation process if you have an action where the amount in issue is $100,000 or less or needs no more than three days of trial. 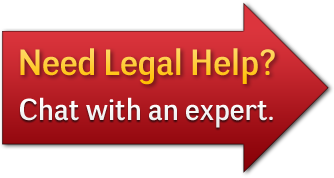 Fast track litigation allows your case can be concluded much faster and at a far lower cost. This guidebook will give you some instructions on how to start an action by notice of civil claim in the BC Supreme Court. It contains information about choosing the correct court, the time limits that apply to your case, and how to prepare, file, and serve your court documents. This guidebook will assist you in defending a lawsuit started against you in the Supreme Court of British Columbia. If you have been served with a notice of civil claim, you are being sued. Defending a lawsuit is complicated and time consuming and the consequences of doing things late or incorrectly may be serious. This guidebook will help you complete the response to a notice of civil claim form. This guidebook will give you some instructions on how to start a proceeding by petition in the BC Supreme Court. It contains information about whether you should start your proceeding with a petition or a notice of civil claim, provides an overview of the process, important time limits, and how to prepare, file, and serve your court documents. This guidebook will assist you in responding to a proceeding started by a petition in the Supreme Court in British Columbia. This guidebook is for people who have declared bankruptcy but have not been granted a discharge from bankruptcy. If your trustee is no longer responsible for making another application for discharge, this guidebook will help you make your own application for discharge from bankruptcy. This guidebook gives you information about getting repayment assistance for your student loans. It also tells you how to apply to the court for release of your obligation to pay your student loan debts in circumstances where you have declared bankruptcy but your student loan debt survived or will survive your discharge from bankruptcy (that is, that debt was not extinguished by your bankruptcy). This Guidebook provides a step by step procedure that you can follow to appeal a decision made by a judge in a BC Small Claims Court trial.